Professionals and businesses alike need the ability to communicate at all times whether they are home, at work or traveling the world. The technological advances of today have come with a power cord or battery for each device. Can you think of anything worse than being at a conference in the middle of Wellington and your iPhone battery drops out or your extremely hi tech tablet goes extremely flat and non usable? 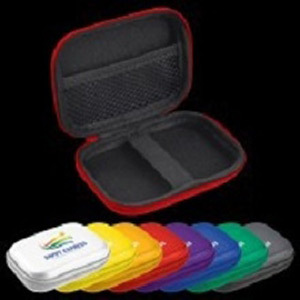 We have you covered with custom printed power banks completely branded with your logo! Storing all those batteries and cords are fine if you don’t mind relinquishing space in your office or home, but can you imagine traveling with all that extra gear? Battery powered electronics are everywhere. Nothing is more frustrating than discovering your phone charge is at 2-percent mid call. Interrupting a sale or a client call, to recharge your phone, makes you appear unprepared and the chance of regaining their confidence is slim. Just consider how you would feel if the photographer for your wedding or special event had to delay things, so he could plug in his camera battery in for a while. The fact is, if you don’t carry a mobile charger and a loss of power affects one contact in your business, you are unprepared. There are few promotional gifts more useful and impressive than an engraved power bank. The custom logo or name is a constant reminder of your business and allows you to advertise without saying a word. These wonderful little supply units are compatible with 99- percent of all electronic devices including phones, iPads, cameras and mp3 players. The banks are compact but can definitely get the job done no matter which you chose the cylinder type, slim line or the large classic charger. Custom power banks show your business is established and willing to make the small investments needed to increase growth. Small practical gifts like these will get your name remembered far more readily than your competitor’s poorly made pens. 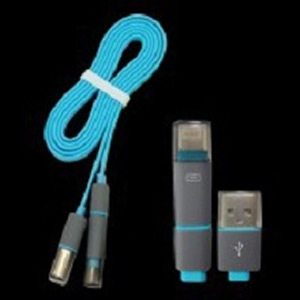 If you are looking to build a rapport with new customers or boost one with an established relationship these charging banks are of high quality with USB connectivity. If the smallest gift is superior then it goes unsaid what your level of commitment is to your clients. Returns on investments are well documented, that’s why advertising is so important. The more you get your name or message mentioned or read the more you’re likely to grow. A quick glimpse at the insignias on these USB chargers are almost like a subliminal message. No thought goes into it, but once again, your product or company name is in their view. Organisations and businesses have handed out gifts to promote their point of view or products for years. The most common items were notepads or pens and some even gave food hampers. The world of business realises the importance of rapidly available communications. Computers, laptops, iPads all have the need for speed to keep up with the ever-expanding technological advances they will require more mobile chargers. DynamicGift.co.nz offers a stylish solution that will answer the demands of mobile charging and promote your company name at the same time. Branded power banks and power barsare available in a variety of sizes and designs, and there’s a large area for printed logos. Our Auckland office is fully prepared to supply all of New Zealand, nationwide.